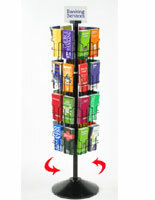 This Wire Rack Easily Spins to Showcase All (32) Pockets! 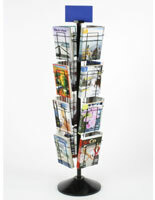 This Brochure Holder Has Four Tiers for Many Magazines or Books! This Wire Rack Is On Sale Now! 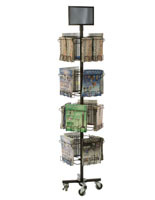 Pole adjusts in height up to 50" tall. Features 32 pockets on 4 tiers. 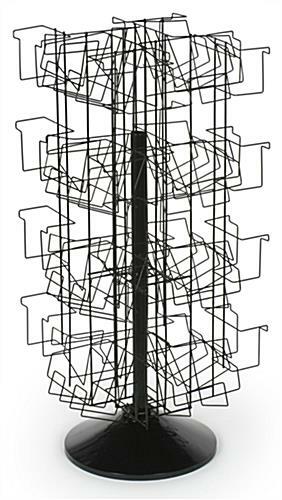 This wire rack has a durable construction of black powder coated metal with a heavy gauge. 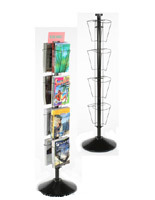 The literature display uses a height adjustable pole to present the content at the appropriate height for attracting the right target audience. 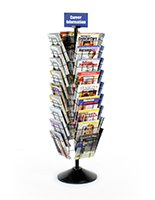 This 32 pocket wire rack, also known as a magazine holder, has four tiers to organize the different periodicals. 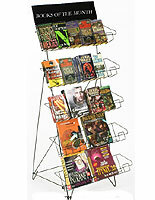 The literature display can be used in all sorts of establishments to offer reading materials. 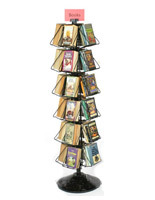 This wire rack is made specifically for presenting many publications of different sizes.